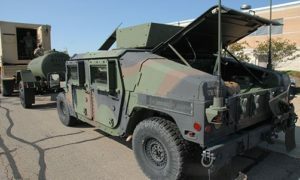 Governor Tony Evers is pulling Wisconsin National Guard troops from the Mexican border. In n executive order filed on Monday, Evers stated that the 112 national guard troops stationed at the Arizona border were being returned to Wisconsin. Evers said that the work of securing the border belongs to Customs and Border Patrol, not the military and that there’s no evidence to back up President Trump’s claims of a national security crisis on the southern border. Central Wisconsin veterans taking their Honor Flight on Monday have a special guest: former Packers tackle Gilbert Brown. Never Forgotten Honor Flight co-founder and vice president of marketing Jim Campbell say one WWII veteran and 100 Vietnam-era veterans are on board. Campbell calls Brown’s presence on the flight an added bonus for the Veterans. “They truly enjoy it. These Veterans are over 60 years old so they remember Gilbert and the run-stuffer that he was for the Packers.” Monday’s flight will also become a documentary with Brown interviewing the Veterans as they tour the memorials in Washington, D.C.
Two more Honor Flights are scheduled for 2018. Campbell says those will take off in September and October, adding that those months (along with April and May) offer the best weather conditions for the Vets. The current Honor Flight wait list is around 4 years for Vietnam-era Vets. For WWII and Korean Vets, Campbell says depending on the circumstances they could be on the next flight or go early next year. He adds that a common misconception about Honor Flight is you have to have served in a combat role to participate; however, only about 8% of the 2,935 veterans served by the previous flights saw combat. More information on the flights and an application for those that want to join the wait list can be found here. Republican U.S. Senate candidate Kevin Nicholson is drawing fire, from military veterans. He’s not backing off. Nicholson is also drawing criticism from Republicans, including Senate Majority Leader Scott Fitzgerald, one of nine who signed a letter to Nicholson demanding that he apologize to state Senator Leah Vukmir, for inferring that she didn’t respect his service in the Marines. GOP primary voters will decide whether Vukmir or Nicholson face Senator Tammy Baldwin in November. Scott Walker says he’s not interested in a job with the Trump administration. The Republican governor was unequivocal, when asked about that potential after a bill signing at the Capitol on Monday. Walker said his certainty is based on something he was told, by former governor and cabinet secretary, Tommy Thompson. “You can get much, much more done as a governor, and it’s much more fulfilling being a governor than being in the cabinet.” Thompson served as HHS Secretary for four years during the George W. Bush administration. A legislative committee in Jefferson City has released an investigative report about Greitens’ former mistress accusing him of physical aggression, sexual manipulation and blackmail. 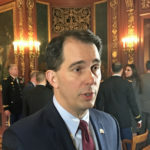 Walker signed 93 bills into law on Monday, including one that to protect Soldiers and Airmen in the Wisconsin National Guard, and their families, when they are mobilized to state active duty. The bill requires the state Department of Military Affairs to grant continuation pay to Guard members injured while on state active duty. It also requires the department to pay a $100,000 benefit to a guard member’s designated beneficiary, if they’re killed on active duty. 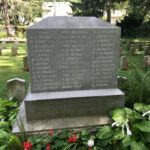 The Madison Common Council voted Tuesday to remove a monument to Confederate prisoners of war from the city-owned Forest Hill Cemetery. The large cenotaph that bears the names of soldiers buried there will be offered to the Wisconsin Historical Society or the Wisconsin Veterans Memorial. The unanimous vote was taken after the council received three recommendations from different commissions. Before the vote, a number of citizens spoke on both sides of the issue. There’s no word yet on when the monument will be taken down. A smaller plaque was removed in 2017. It, too, will be offered to the State Historical Society or Wisconsin Veterans Memorial. Wisconsin Governor Scott Walker is all in, on President Donald Trump’s National Guard border order. On Fox News Network Monday, Walker noted past presidents had deployed the Guard to fight the illegal drug trade. No Wisconsin Guard units have been sent to the border yet, and none have been requested. “Until we can have a wall and proper security, we’re going to be guarding our border with the military,” Trump said last week. 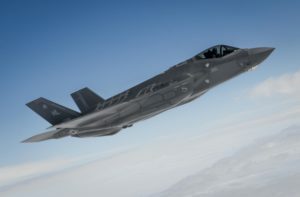 The U.S. Air Force has named the 115th Fighter Wing based out of Truax Field in Madison as one of two preferred candidate bases for missions involving the F-35A Lightning II fighter jet. The other location selected is the Dannelly Field Air Guard Station in Montgomery, Alabama. The decision means Truax Field could start seeing the fighter jets arrive in 2023, as the Air Force works to replace aging F-16s and other units. Johnson said it’s great news for the future of the Wisconsin Air National Guard. “I applaud the Air Force for recognizing the strategic importance of our state, and I look forward to Wisconsin playing a major role as the Air Force modernizes and enhances its capabilities to keep America safe and secure,” Johnson said in a statement. Almost 20 members of the Wisconsin National Guard are back in Wisconsin, after helping in the wake of the hurricanes that passed through the U.S. Virgin Islands earlier this year. They brought two Black Hawk helicopters with them for medical evacuations and to deliver supplies. They were deployed for about three weeks. Four members of the Wisconsin Air National Guard also returned from Puerto Rico, where they helped manage airfields. All Wisconsin Army and Air National Guard members who were involved in hurricane relief efforts are now home.